Matilda is a children’s classic – loved by all and appreciated by both children and adults. Roald Dahl has written such beautiful children’s novels and Matilda is most definitely my favourite. Both the book and the movie are marvellous, and it’s a story I would happily recommend to anyone who hasn’t yet read it. The book is also marvellous as a re-read, if you’re feeling like a revisiting an old classic. The book is set in a small Buckinghamshire village; Matilda Wormwood is highly intelligent, gifted six-year-old but her parents neglect her and treat her horribly. Her father is a crooked car dealer who is teaching Matilda’s brother about the business so he can hopefully take over it one day. The only way Matilda can bear to live in the house is because she’s teaching herself to read and she has discovered the library and she’s spending time by herself discovering literature. Her parents think she’s ‘nothing more than a scab’ and that she should spend more time watching TV and less time reading books. Matilda befriends her kindergarten teacher, Jennifer Honey, and is at first afraid of the nasty principal Ms. Trunchbull. She is a bully and terrorizes the students. She invents crazy punishments for non-existent mischief. Matilda seems to be very much alone in the world with just books for company. That is, until she meets Miss Honey. The book is about Matilda learning to stand up for herself and be courageous amongst scrutiny and judgement – she learns how to outsmart her parents and her principal and not succumb to their horrible treatment of her. The book explores education, family, relationships and Matilda’s supernatural abilities. When you re-read the books as an adult, you notice there’s a level of darkness in the book that you never knew was there. Miss Trunchbull is a lot crueller in the books, and the loneliness and neglect that Matilda experiences is really quite awful. At times it almost felt too dark for a children’s book, but perhaps that speaks to a broader issue about the dampening down of serious issues in children’s books. Perhaps we don’t give children enough credit these days – perhaps there are too many children’s books now that have filtered out any darkness. Roald Dahl is a wonderful writer, full of wit, warmth and heart. 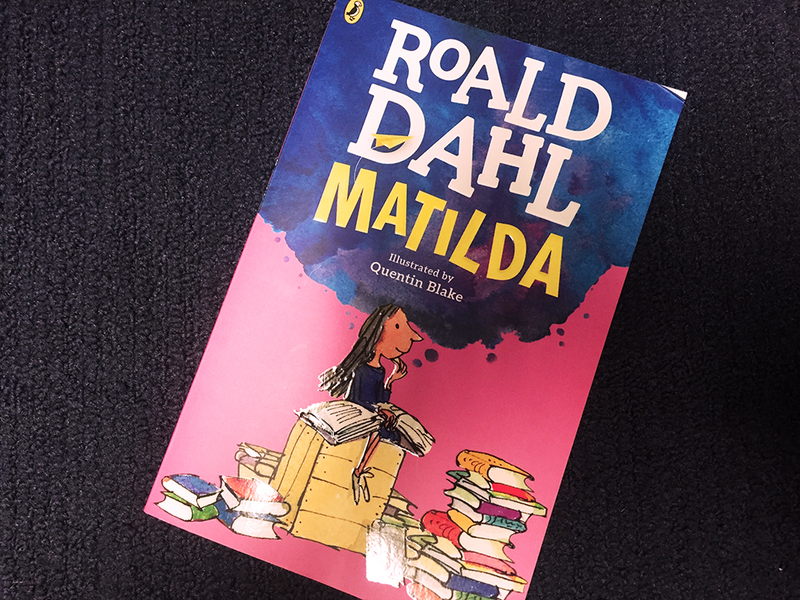 His characters always feel larger than life, and Matilda is the kind of character that a lot of children might relate to, not because of her neglect (hopefully!) but because of the solace she finds in reading. She’s a shy, quiet over-achiever and there would be a lot of young girls reading this who would feel like they’re quite similar to Matilda. 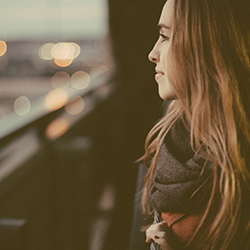 This book shows them that there’s nothing wrong with being bookish or introverted. It worked out very well for Matilda, in the end. Matilda sits on a cardboard box when reading the library books at home?